As a practicing druid, the Arthurian tradition of the British Isles has been one source of my training and study over the last twenty-four years. These stories were told to me long before I could read them. They are intertwined with the stars because Arthur is immortal, fixed, like the patterns of the constellations, yet always human. He moves through seasonal changes of the sky much like the planets. 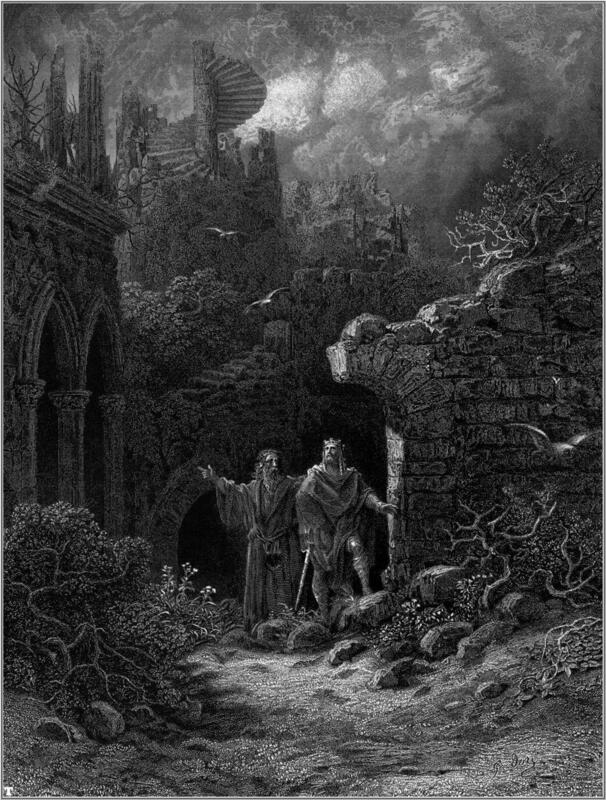 This is an illustration from Doré of Arthur and Merlin under the night sky. Merlin as Druid and astrologer is teaching Arthur the tales of the stars. Poetry and song store knowledge for cultures all over the world, while the night sky holds ancestral memory in a visual rather than a verbal form. The sky with its starry maps remains a predictable place even as it constantly changes during the night and over the seasons. Stories, which tell of the tribe’s origin and history, are associated with the stellar wheel overhead. The journey of the Sun, Moon and the planets along the starry road of the ecliptic become a reenactment of the adventures and love affairs of the ancestors. Constellations beyond the belt of the ecliptic are a rich source of cultural history, a memory guide to the story teller-historian. The sky is a library filled with epic tales of the men and women who tangled with the gods. 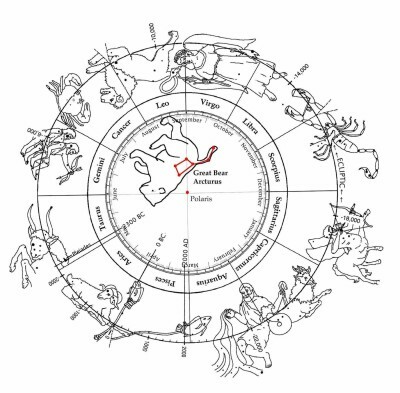 We could look at the story of Arthur’s Round Table as an earthly reflection of the Zodiac. Arthur’s name means The Bear. We could say that the constellation we call the Big Dipper or the Great Bear is Arthur as he journeys through the yearly cycle of the constellations around the ecliptic. The Round Table takes on a whole new meaning when projected on the night sky! In this light I have tried to find the stories of Arthur in the stars and planets, the Sun and Moon. The Giant’s armchair, Cadair Iris in Wales. An observatory of the stars and place of poetic inspiration. In a highly literate society we have little faith in memory, and our way of life dims the stars, yet they remain to communicate with us whenever we take the time and find the place where we can attune to them. It’s not surprising that observatories and temples are located on mountain peaks; they have a similar purpose, a conversation with the sky. At the top of Cadair Idris, a mountain in Wales is a seat, a great stone couch where the giant, Idris, the first astronomer/astrologer watched the night sky. 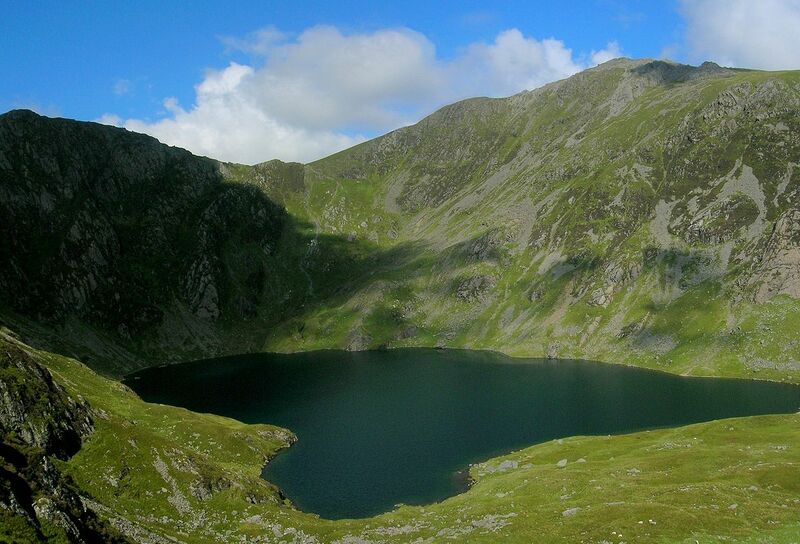 Idris was skilled in poetry and philosophy as well as star lore, and it is said that whoever spends the night in Cadair Idris, the giant’s chair, will meet death, madness or poetic inspiration by morning. It’s not surprising that a mountain observatory filled with poetry and magic is the site of an Arthurian adventure. Arthur’s presence is interwoven into many of the sacred sites of the British Isles. On the slopes of this sacred mountain Arthur went on a hunt with the king of the fair folk, Gwyn ap Nudd and his pack of hounds the Cwn Annwn (dogs of the underworld). 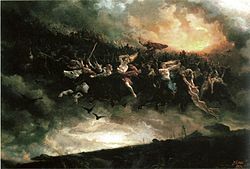 The hunt continues and if you are swept up in it, you might find yourself in Annwn, the underworld, or perhaps taken up to Caer Arianrhod (Corona Borealis). 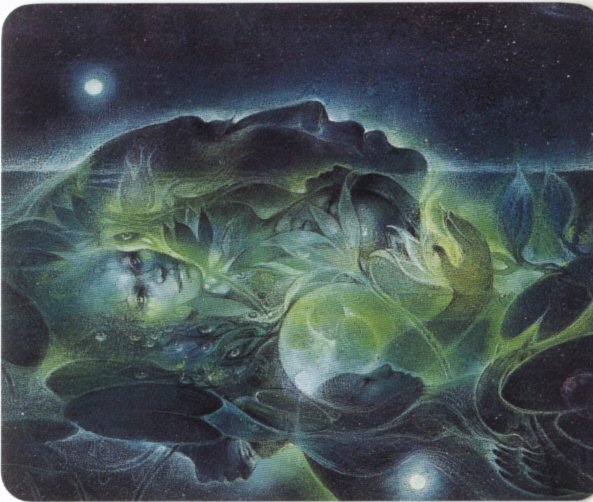 As in many cultures, Annwn, ‘the underworld,’ refers to a place of otherness. It may be simultaneously deep in the earth, an alternate visionary dimension to a familiar landscape such as Arthur’s hunt with Gwyn ap Nudd and his hounds, or a location in the sky. The celestial site for Annwn was an important constellation to the British people, Caer Arianrhod. This is the Welsh name for Corona Borealis. The literal meaning for Caer Arianrhod is ‘ the castle, or fortress, or hill of Arianrhod.’ This constellation, which looks like a coronet or a cauldron is where the Moon goddess, Arianrhod-The Silver Wheel instructs the soul as it rests between lives in her cauldron, her heavenly abode, Caer Arianrhod. When Arthur hunted on the mountainside of Cadair Idris with Gwyn ap Nudd, he was paying homage to Arianrhod, the Moon lady, something a hero must do in order to move into wider territory. Their quarry was Twrch Trwyth, the wild boar, sacred to the Moon goddess because of his crescent shaped tusks. Arthur’s battle with the boar gave him the status of an initiated warrior. From this story of Arthur’s hunt for the boar with Gwyn ap Nudd, we understand that the young king could enter and leave the underworld Annwn, at will. He, like Orpheus and Persephone entered the dimension of the dead while still alive and returned to bring its treasures back to the living. The treasures of Twrch Trwyth, the boar, were a comb, a razor and scissors! In an ancient rock carving found in Scotland, the boar’s tusk and a mirror are carved in rock, a clue to the very old connection between the warrior initiation, which the boar represents, and the Moon’s cycle. The crescent Moon is represented by the boar’s tusk and the full Moon signified by the mirror. Venus may also play a role here since her glyph is a mirror! Like the hero, Orion, who hunts the night sky with his dog, Sirius, Arthur also had a faithful canine companion, Cabal. The dog is often a companion into the otherworld or, like Cerberus, the three-headed dog of the Greeks, he is a guardian of that world. Cabal’s footprint is found in Wales at Buelt where Arthur built a cairn for him, known as Carn Cabal. One of the stones has the imprint of the dog’s paw. It is one of the ‘Marvels of Britain’ that when a stone is removed from the pile, it returns within a day or two. 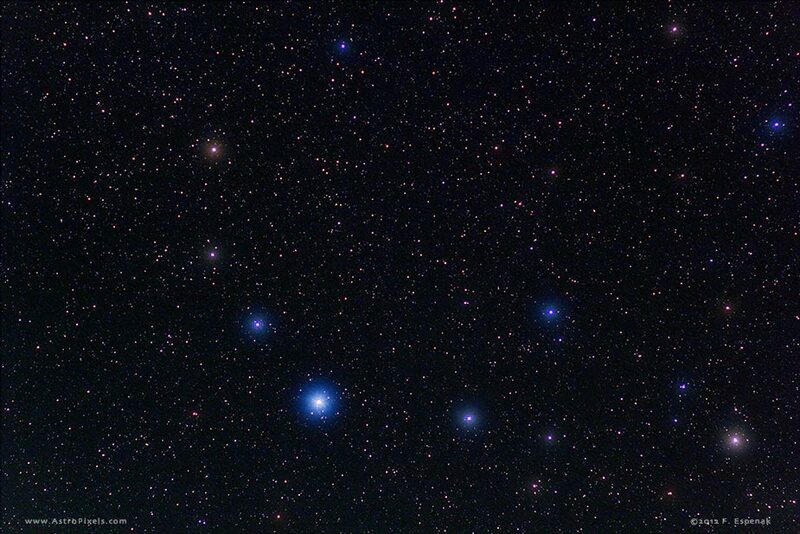 When you look up at the familiar figure of Orion with his blue star dog, Sirius in the winter sky, you can imagine the young warrior Arthur with his beloved hound, Cabal.